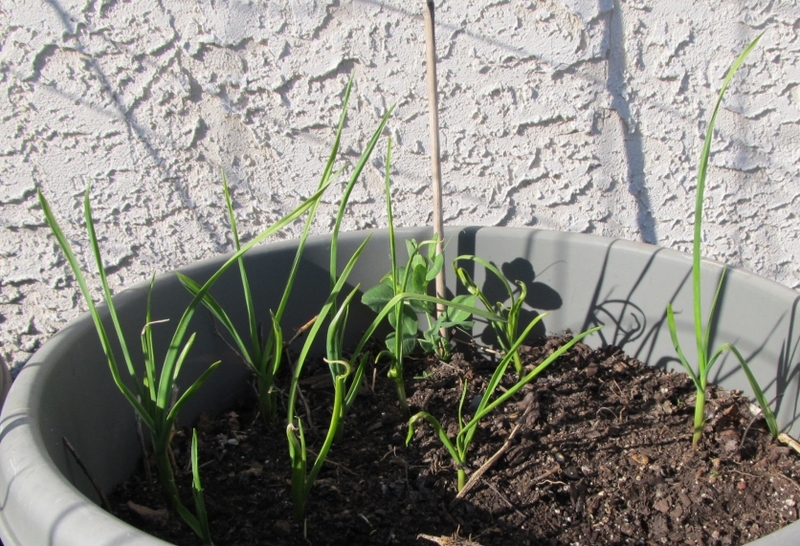 It’s been a busy week up on rooftop garden, where all the garlic is strong, the snow peas are good looking and the spinach is… well, a bit below average. When I planted the first cool-weather crops in mid-March, it was unseasonably warm in Philadelphia and I think some of the little guys got a little ahead of themselves. Temperatures dipped pretty dramatically for a few days, and the wind picked up enough to blow over some of my snow pea starter plants and I’m not sure they’re coming back. 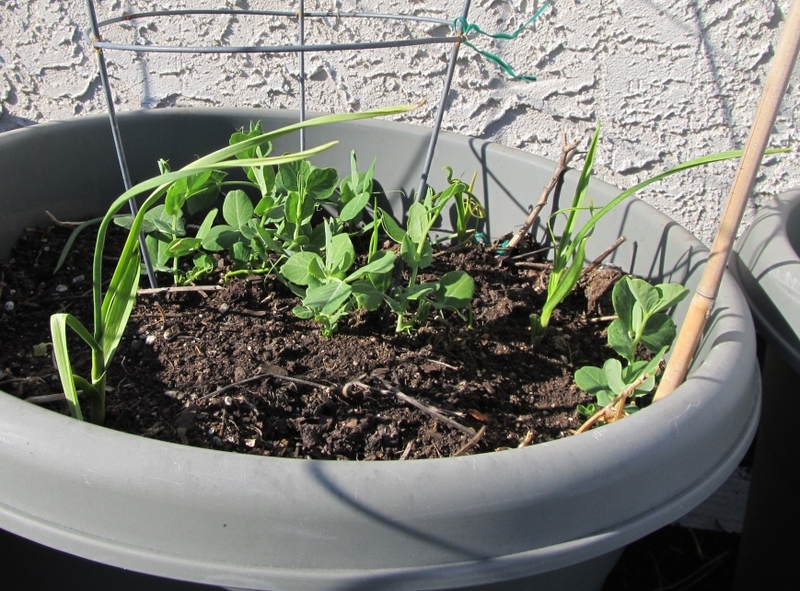 Fortunately more plants are thriving than succumbing to the pressures of life on a windy rooftop, so I’m hoping to get some peas by May… or so. 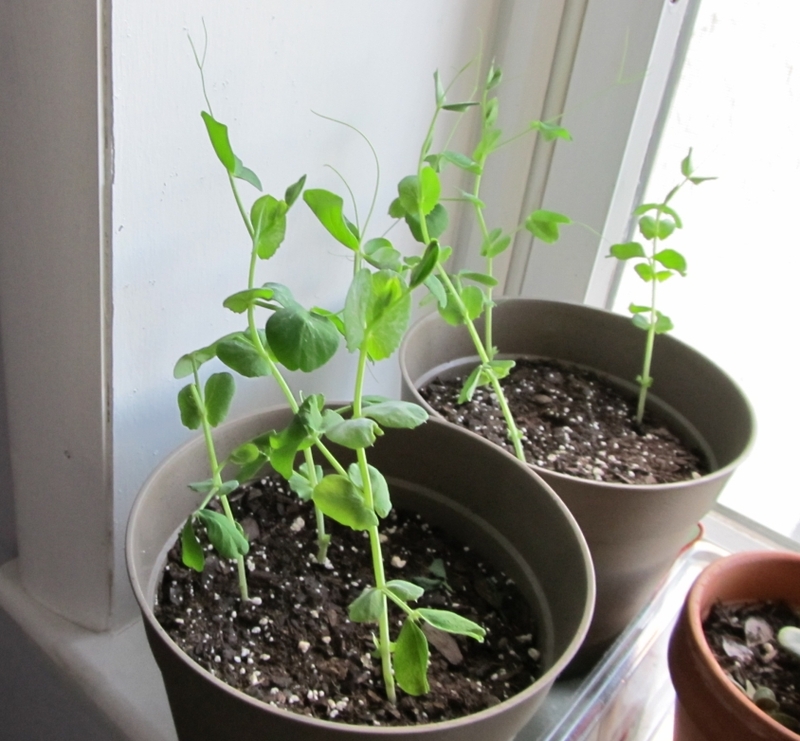 Meanwhile, as more of a science experiment than anything else, I’ve been continuing to grow some peas indoors to see how they differ from those growing on the rooftop. These guys were planted at the same time as the ones on the roof, but they’ve grown taller and their leaves haven’t grown nearly as wide. They also seem to have thinner stems, and I have little doubt that they’d die almost immediately if I tried to take them outside. Eventually I might try it just to prove my hypothesis.. and to free up the planters. Almost all of the garlic I planted has survived the temperature swings. The only casualty so far appears to be one plant that either got dug up by an animal (squirrel, I suspect), or which wasn’t planted deeply enough and was therefore stirred loose by a heavy rainfall or two. 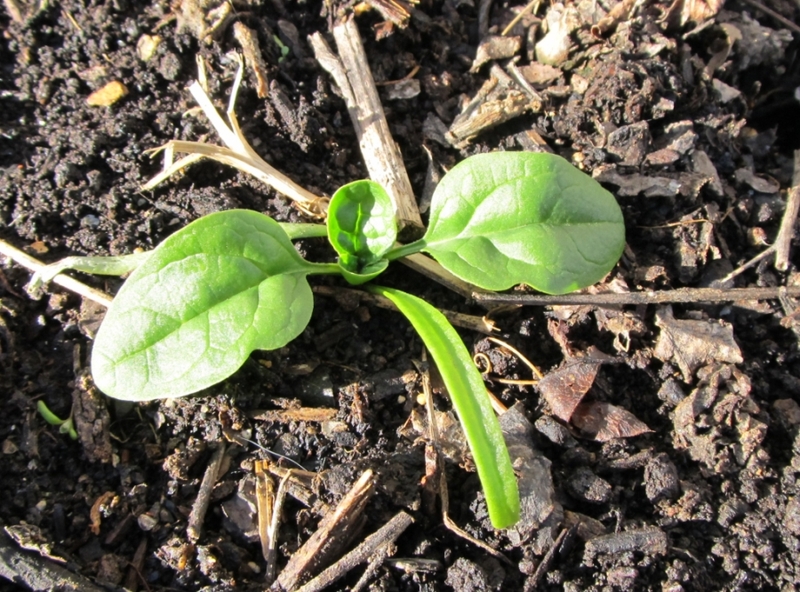 Some of the spinach plants are starting to show their edible leaves… but they’re growing slowly and I’m not particularly hopeful that they’ll thrive. I tried growing spinach last year and didn’t have much luck. If this crop stays stunted as well, I might give up on spinach… at least until I have time to try some sort of cold frame solution which might allow the plants to grow in a less windy environment. 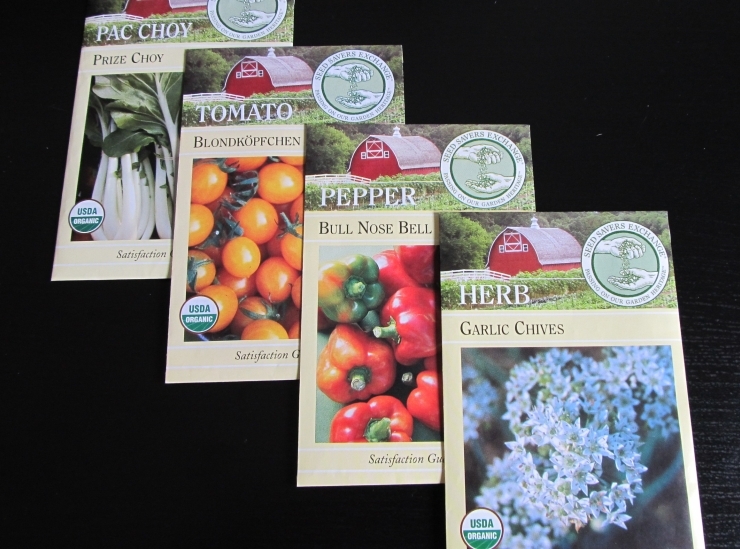 Meanwhile, I’m running a little behind on starting seeds for my summer garden, but I finally took the time yesterday to fill some seed trays and small pots with pepper, tomato, and garlic chive seeds. These are all plants that need a head start before you put them outside, so it’s recommended to star them off 6-8 weeks before the last frost. 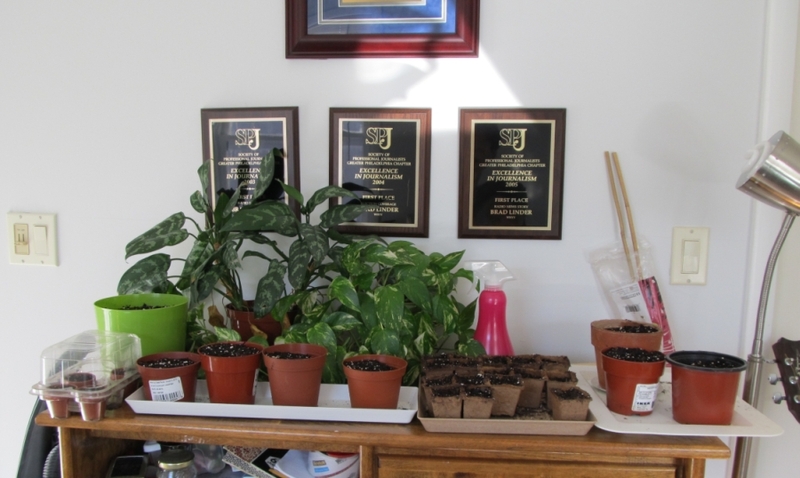 Last frost in Philadelphia is usually around late April, but I might not be ready to transplant my little guys until May… which is fine, because by then I’ll be able to decide which snow pea plants are under-performing and cut them away to make room for new plants. I may also try to grow some green beans and bok choy this summer, but those plants can be directly planted into the soil outside so I won’t be starting them indoors. The biggest challenge for starting seeds in the house is that our cats love to chew on plants and knock over planters. So I have to find well-lit, sunny spots in the house that are difficult for the cats to get to. There aren’t many of these spaces in the house, so I’ve made a little space next to some houseplants in my office… but I’m not convinced that spot really gets enough sunlight. I guess we’ll know for sure in a few weeks… if the cats haven’t jumped four and a half feet in the air to topple over the planters by then. Good post – It always amazes me how hard it is to replicate any kind of natural conditions indoors. Things that you never think of can have an effect, and some things you do think of – like cats!